Michael Wang is the Vice President of IT Technology for Westlake Financial. In this role, he is responsible for overseeing all aspects of IT, including infrastructure operation, software development and new technology. 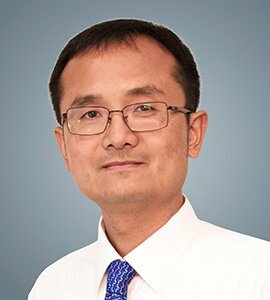 Wang joined Westlake in 2013 as the Manager of Software Engineering and was responsible for identifying software solutions and implementation. He was promoted to Vice President in 2016. Prior to joining Westlake, Wang held various roles as a Software Solution Manager, Architect and Chief Engineer at TD Bank, the D+H Corp. and Comwave Telecom. He has over 20 years of experience working in the financial and telecommunication industries. Wang graduated with a bachelor’s degree in Computer Science from Harbin Engineering University in China.